Match ends, Holland 1, Bulgaria 2. Second Half ends, Holland 1, Bulgaria 2. Goal! Holland 1, Bulgaria 2. Ilian Micanski (Bulgaria) header from the left side of the six yard box to the centre of the goal. Assisted by Stanislav Manolev. Corner, Holland. Conceded by Valentin Iliev. Attempt saved. Vladimir Gadzhev (Bulgaria) left footed shot from outside the box is saved in the bottom right corner. Assisted by Stanislav Manolev. Substitution, Holland. Kevin Strootman replaces Nigel de Jong. Substitution, Bulgaria. Hristo Zlatinski replaces Georgi Milanov. Arjen Robben (Holland) wins a free kick in the attacking half. Attempt saved. Wesley Sneijder (Holland) right footed shot from outside the box is saved in the top left corner. Assisted by Arjen Robben. Dirk Kuyt (Holland) is shown the yellow card for a bad foul. Foul by Dirk Kuyt (Holland). Stanislav Manolev (Bulgaria) wins a free kick in the defensive half. Substitution, Bulgaria. Aleksandar Tonev replaces Ivelin Popov. Substitution, Holland. Arjen Robben replaces Klaas-Jan Huntelaar. Attempt missed. Ivelin Popov (Bulgaria) right footed shot from outside the box misses to the right. Assisted by Georgi Milanov. Attempt missed. Georgi Milanov (Bulgaria) left footed shot from outside the box misses to the left. Assisted by Stanislav Manolev with a cross. Klaas-Jan Huntelaar (Holland) wins a free kick in the attacking half. Substitution, Bulgaria. Ivan Cvorovic replaces Stoyan Kolev. 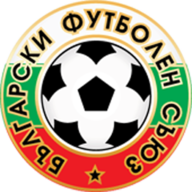 Substitution, Bulgaria. Valentin Iliev replaces Ivan Ivanov. Attempt missed. Stanislav Manolev (Bulgaria) right footed shot from outside the box is close, but misses to the left. Assisted by Vladislav Stojanov with a headed pass. Substitution, Holland. 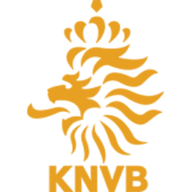 Dirk Kuyt replaces Rafael van der Vaart. Substitution, Holland. Stijn Schaars replaces Jetro Willems. Attempt missed. Klaas-Jan Huntelaar (Holland) header from the right side of the six yard box is high and wide to the right. Assisted by Jetro Willems with a cross. Attempt saved. Rafael van der Vaart (Holland) left footed shot from outside the box is saved in the bottom right corner. Assisted by Mark van Bommel. Svetoslav Dyakov (Bulgaria) is shown the yellow card for a bad foul. Rafael van der Vaart (Holland) wins a free kick in the defensive half. Substitution, Bulgaria. Ilian Micanski replaces Valeri Bojinov. Substitution, Bulgaria. Vladislav Stojanov replaces Yordan Minev. Offside, Bulgaria. Stanislav Manolev tries a through ball, but Yordan Minev is caught offside. Foul by Klaas-Jan Huntelaar (Holland). Veselin Minev (Bulgaria) wins a free kick on the left wing. Goal! Holland 1, Bulgaria 1. Ivelin Popov (Bulgaria) converts the penalty with a right footed shot to the centre of the goal. Rafael van der Vaart (Holland) is shown the yellow card for hand ball. Penalty conceded by Rafael van der Vaart (Holland) with a hand ball in the penalty area. Foul by Gregory Van der Wiel (Holland). Foul by Jetro Willems (Holland). Second Half begins Holland 1, Bulgaria 0. First Half ends, Holland 1, Bulgaria 0. Foul by Georgi Milanov (Bulgaria). Goal! Holland 1, Bulgaria 0. Robin van Persie (Holland) left footed shot from the centre of the box to the bottom left corner. Assisted by Wesley Sneijder with a through ball. Valeri Bojinov (Bulgaria) hits the bar with a left footed shot from outside the box from a direct free kick. Johnny Heitinga (Holland) is shown the yellow card for a bad foul. Foul by Johnny Heitinga (Holland). Georgi Milanov (Bulgaria) wins a free kick in the attacking half. Attempt missed. Wesley Sneijder (Holland) right footed shot from outside the box is just a bit too high from a direct free kick. Nikolay Bodurov (Bulgaria) is shown the yellow card for a bad foul. Wesley Sneijder (Holland) wins a free kick in the attacking half. Foul by Yordan Minev (Bulgaria). Robin van Persie (Holland) wins a free kick on the right wing. Foul by Mark van Bommel (Holland). Georgi Milanov (Bulgaria) wins a free kick in the defensive half. Foul by Wesley Sneijder (Holland). Svetoslav Dyakov (Bulgaria) wins a free kick in the defensive half. Delay in match Yordan Minev (Bulgaria) because of an injury. Yordan Minev (Bulgaria) wins a free kick in the defensive half. Attempt missed. Nigel de Jong (Holland) header from the centre of the box misses to the right. Assisted by Wesley Sneijder with a cross following a corner. Corner, Holland. Conceded by Ivan Ivanov. Hand ball by Svetoslav Dyakov (Bulgaria). Substitution, Holland. Wilfred Bouma replaces Joris Mathijsen because of an injury. Delay in match Joris Mathijsen (Holland) because of an injury. Veselin Minev (Bulgaria) wins a free kick in the defensive half. Delay in match Georgi Milanov (Bulgaria) because of an injury. Foul by Rafael van der Vaart (Holland). Valeri Bojinov (Bulgaria) wins a free kick in the defensive half. Foul by Valeri Bojinov (Bulgaria). Johnny Heitinga (Holland) wins a free kick in the defensive half.